Blow dry in style with this BaByliss 5736U Ombre 2400 Special Edition Hair Dryer! 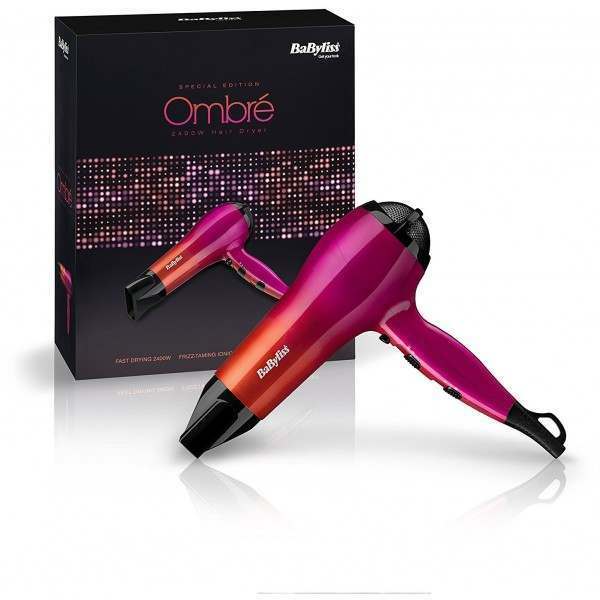 This special edition ombre hair dryer from BaByliss is a must-have for style-conscious women who want to create looks with the 'wow' factor. 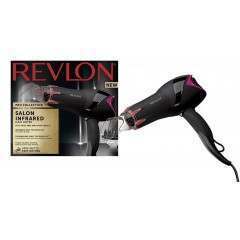 Boasting a lightweight 2400W motor, this hair dryer offers fast, comfortable blow drying along with ceramic and ionic technology to control frizz and boost shine. 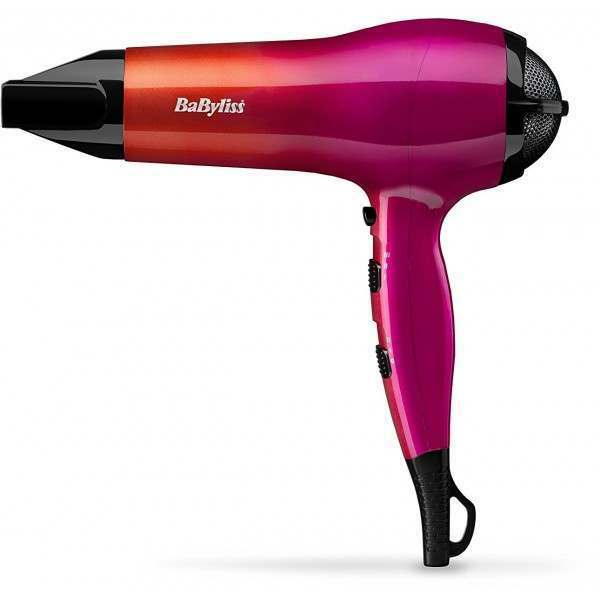 Supplied with a slim concentrator nozzle and a 2.2m power cord, this gorgeous hair dryer gives you the freedom and flexibility to create a salon-inspired look at home! 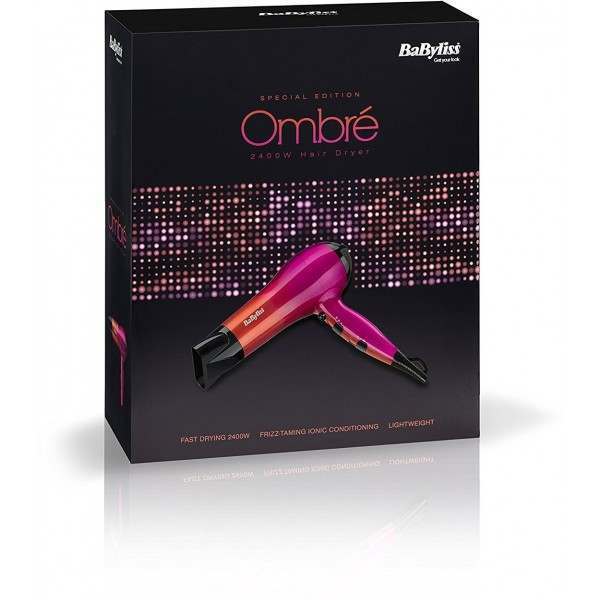 Enjoy frizz-free hair and fast drying results with the BaByliss Ombre 2400W hairdryer. 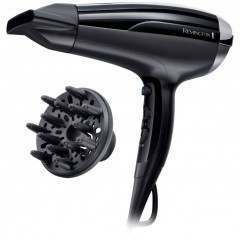 Ionic technology and a concentrator-nozzle attachment create smooth, frizz-free results, for straight, wavy and voluminous hair, backed by a powerful 2400W. 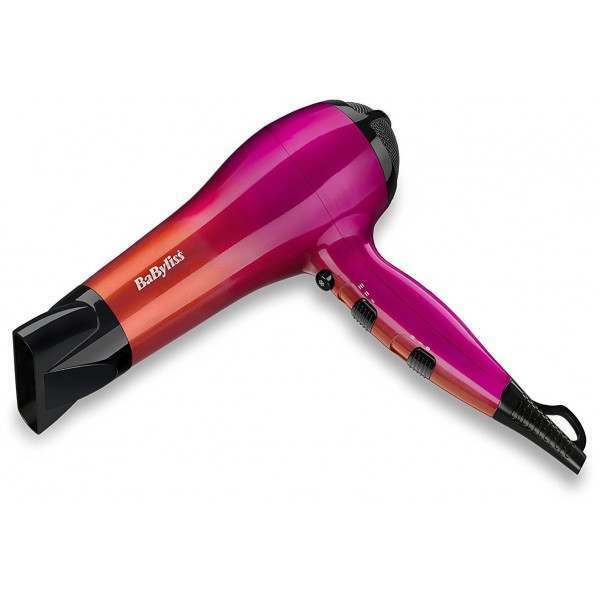 This hairdryer is available in a stylish red and orange ombre design. 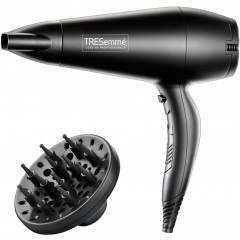 A powerful 2400W motor and ionic technology deliver high performance and frizz-free results. Airflow is blasted through a concentrator nozzle for a super-smooth style. 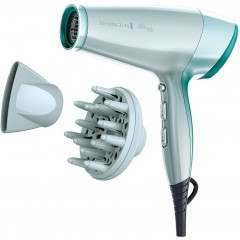 Choose from three temperatures and two speed settings, plus a cold-shot button to give your hair the high-quality treatment it deserves. 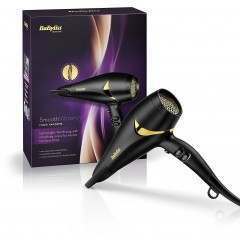 The dynamic concentrator nozzle can be used to straighten hair, create waves and add body and volume to your locks. A 2.2m cord makes styling hair easier: enjoy unrestricted movement as you blast hair upside down and more. A hanging loop allows you to store the BaByliss Ombre hairdryer easily.